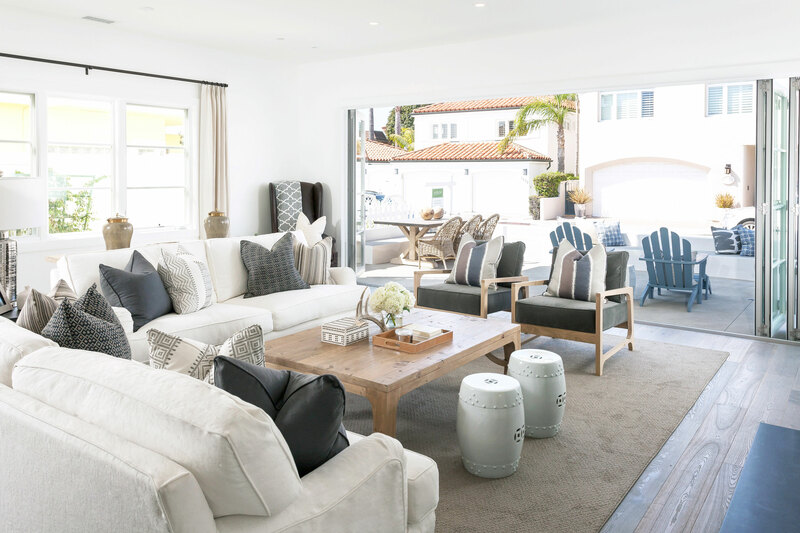 We were recently featured in a Houzz Editorial titled “5 Fully Decorated Living Rooms That Don’t Go Overboard”you can see the whole article by clicking here. We wanted to share our portion of the interview below to give you some behind the scene details from our latest Project West Bay! 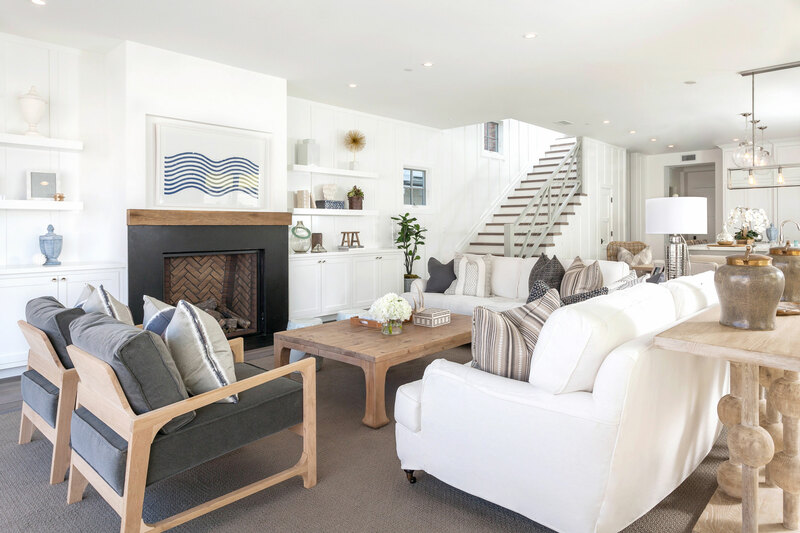 Homeowners’ request: A space for entertaining with a contemporary coastal farmhouse feel. A large seating arrangement inside, as well as on the front patio to which the living room opens through folding doors, helped achieve this. Plan of attack: The house was a new build, so designer Wendy Blackband visited the site several times during construction to better understand how things should flow, how the layout should take shape and how the materials and finishes would come together before she selected furnishings. Maintaining open pathways became a challenge once the furniture filled the room. But proper space planning and a few minor adjustments allowed Blackband to create two adequate walkways through the space. Splurges and savings: Blackband saved on the area rug, which is carpet that she had bound. She then used the savings to splurge on accessories.